iQSafety has the right solution for you when it comes to helping your business with problems associated with needed leak repairs. We have a range of leak repair products so that leak patches can happen quickly and easily until a permanent solution or renovation is organised. Unfortunately, many businesses find themselves needing to undertake repairs after an accident has already occurred. Whether it be a storm that has demonstrated roof leak repair is needed, or an accidental puncture has occurred to a pipe or caused a drum leak, we have the most suitable product that can save you thousands of dollars in unnecessary costs. Repairs and maintenance are necessary for all business premises as an ongoing event. These can take a lot of time and money booking in specialist personnel to get the job done right. If the roof of a building needs leak patches, then temporary leak repair can protect your assets or even save employees and customers slipping. Roof leak diverters are a great solution for leaking that occurs in roofs and ceilings while leak patching paste and drum leak putty can save against burst pipes or ruptured drums. Check out the range below to see which patch, repair & maintenance products will enhance your workplace safety. What type of Leak Patches work best for roof leaks? Roof leaks occur often in older buildings or whenever weather damage has taken its toll. There are several options in the iQSafety range and it will depend upon the type of roof surface and where exactly the leak is penetrating. 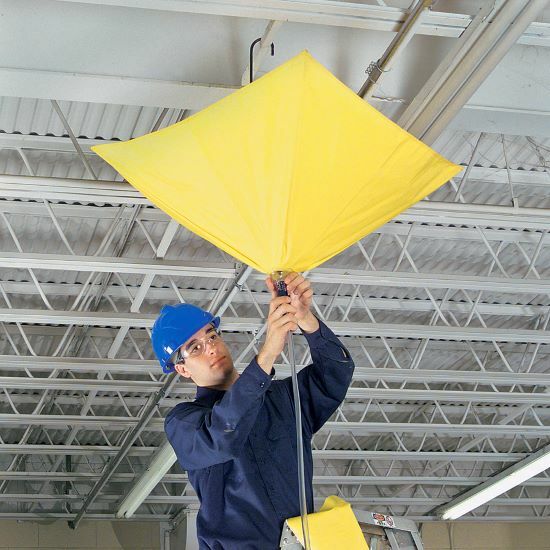 The most popular option is a roof leak diverter kit which allows you to deploy the roof leak water catcher quickly, in exactly the same way as using an umbrella. It holds into position with a hook and comes in various size options to suit your space. Do your Leak Patches meet the Standards? 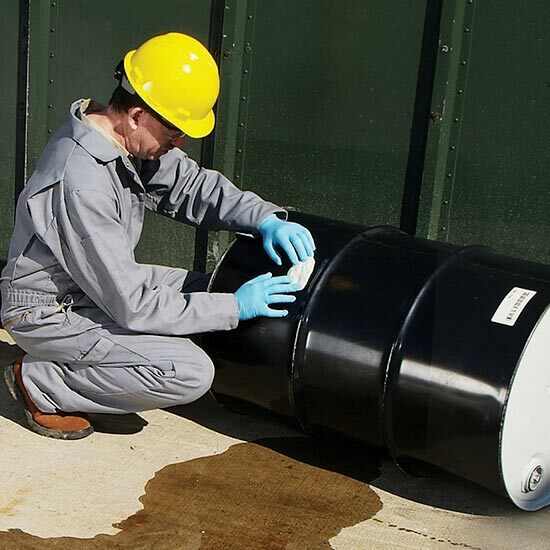 Currently there are no local or international standards or safety regulations that are applicable to the construction or materials used to manufacture leak patches. The most common complaint that occurs from leaks is the resulting damage to equipment and the hazards associated with slips, trips or falls. Regulations require businesses to exercise a duty of care and guard against slips, trips and falls so using our range of leak diverters and leak patches is one of the ways to help meet these requirements. Are your Leak Patches a permanent solution? Regular maintenance and replacing outdated or damaged equipment is the only permanent solution for leaks regardless of where they appear. The advantage of our range of roof leak diverters is that they can be used for a long time because the materials resist punctures, milder and UV. Water can be diverted to a safe collection point until the repairs or replacements can be made. Similar solutions are available to patch and repair drum or pipe leaks too. At IQSafety, we’re proud to offer the highest quality leak patches to businesses around the country. Wherever you’re based - including Melbourne, Sydney, Canberra, Brisbane, Darwin, Perth, Adelaide, Hobart and everywhere in-between - we’re confident we have the spill kits and absorbent products to ensure you’re prepared for any situation.